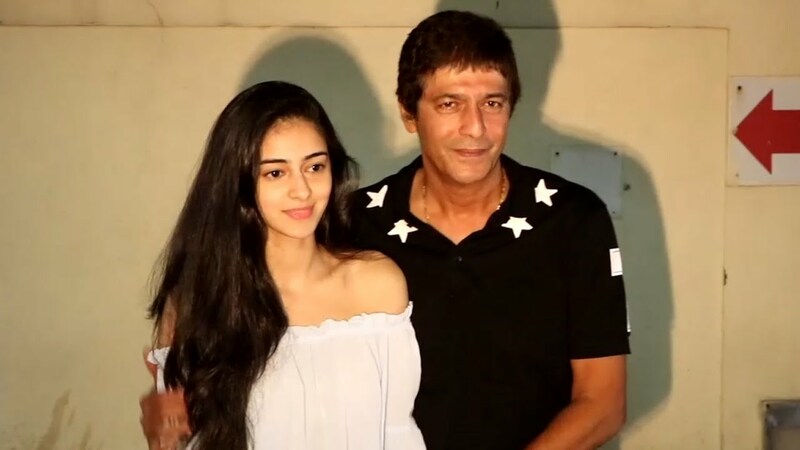 Chunky Pandey's Daughter, Ananya Pandey to Debut at Le Bal! Bollywood actor Chunky Pandey's daughter, Ananya Pandey will soon be making her debut in high society at Le Bal. Founded in 1992, 'Le Bal', also referred to as Le Bal des Débutantes, acts as a fundraiser to bring together 20 girls and 20 boys from several nationalities and to induct them officially as members of International High Society. Celebrating an evening of couture, Cavaliers and fundraising, these guests from influential families spawning from various fields of arts, politics, business and culture, make their grand entry into the uppermost echelons of society and high fashion to enjoy countless perks and, of course, a lot of limelight and attention. In the past, a bevvy of young Indian ladies has made their entry into high society at Le Bal. The lustrous list includes the likes of Princess Adishree Singh of Jammu and Kashmir (2009), Shaiyara Devi of Kapurthala (2011), Isha Ambani and Ashna Mehta (2011), Princess Askshita Bhanjdeo of Mayurbhanj and Jaisalmer (2013), and Jayati Modi (2016). This year, Le Bal will see two more Indian faces making their presence felt - Princess Gauravi Kumari of Jaipur and Ananya. Keeping the occasion in mind, big designer names are bound to hop in. While Ananya is being dressed by Jean Paul Gaultier, Princess Gauravi will be wearing Tarun Tahiliani couture gown inspired from a sari. Fine jewellery by Payal New York, an eponymous label by Payal Mehta of Indian origin, will glitter along with each participant. With the achieving of its 25th-anniversary milestone, Le Bal founder, Ophelie Renouard is also excited about India making a big impact at the event this year with two debutantes. He said in a statement: "India is such a major player in today's world. I am happy that for the first time, we have two debutantes from India and I would like this to happen every year." Le Bal will be held on November 25 in Paris at The Peninsula Hotel. The uber glamorous event raises funds and awareness for two causes - Enfants d'Asie: Children of Asia, which provides care for almost 10,000 children in the form of food, shelter, medical care and education, in South East Asia. The other is for a non-profit body The Seleni Institute. The institute provides care, information and research funding, supporting the mental health of young women and teenage mothers.